Drinking five cups of tea a day boosts the immune system and gives the body a better chance of fighting off infections, scientists say. An ingredient in the drink helps repel invading bacteria, viruses and fungi, according to a study in the “Proceedings of the National Academy of Sciences”. One experiment showed that immune system blood cells from tea drinkers responded five times faster to germs than the blood cells of coffee drinkers. 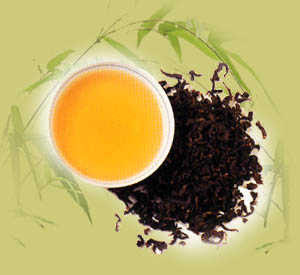 The studies used ethylamine, produced when the tea ingredient L-theanine is broken down in the liver. Previous research suggests that ethylamine, found in black and green teas, may also target other pathogens, including parasites, viruses, and perhaps tumours. Dr Jack Bukowski, a researcher at Brigham and Women’s Hospital in Boston and Harvard Medical School, said the results were proof that five cups of tea a day sharpened the body’s disease defences. He said while tea was not a magic cure, there were clear benefits to drinking it, especially for older people. Penny Kris-Etherton, a nutrition specialist at Penn State University in the US said the study added to a growing body of evidence that tea was an effective disease fighter. “This is potentially a very significant finding. We’re seeing multiple benefits from tea,” she said. Tea has also been linked to lower heart disease and cancer risk through the action of flavonoids, a type of antioxidant. Other studies have linked tea to helping combat osteoporosis, the brittle bone disease, and to relieving some allergy symptoms.